How We Help People Get Medical Help If you have been injured, the Parker Law Firm can work with certain physicians to get you the medical help you need. Brain injuries can be difficult to handle and often require lengthy recoveries, costly rehabilitation, and in some cases, surgeries. Even with medical insurance, the out-of-pocket expenses and fees can quickly add up. If you are a victim of a Traumatic Brain Injury (TBI) or your loved one has been injured, contact Parker Law Firm right away. Our firm has experience handling difficult personal injury situations, and we can aggressively pursue the highest level of compensation available on your behalf. When you work with our firm, we work diligently to ensure that the wrongful party is held liable so that you gain a swift, favorable resolution to your case. Serious brain injuries can have life-altering effects and typically involve years of recovery and treatment. In serious incidents, victims may never fully recover and could sustain permanent damage. TBI victims are not the only ones suffering either; family members often experience direct repercussions and have to pull the weight of providing care and income. There are two basic types of Brain Injuries — open and closed. Open head injuries means that the skull has been fractured and there is actual opening in the skull. Closed head injuries do not involve a head fracture. Closed brain injuries can be much more serious for the reason that the brain can swell or dangerous blood clots can form inside the skull. 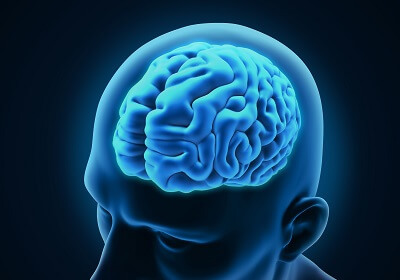 Regardless of whether the brain injury is the result of a closed or open head injury, the most serious of these injuries can result in paralysis, loss of consciousness or even death. When you work with an attorney from our firm, we can diligently work to ensure that the wrongful party is held accountable for his or her actions. We know that you may be facing a difficult time in your life, but if we can determine who is liable for the accident, we can pursue compensation on your behalf. When you work with our firm, you can be confident that your case is in good hands; we have been assisting clients in the Bedford area since 1985. Contact Parker Law Firm today to speak with a Tarrant County personal injury lawyer from our team and schedule a Complimentary Strategy Session today by calling 817-503-9200!